Humus: Cover Crops in a No-till Garden. barley, oats, Austrian winter peas, and annual ryegrass. their poultry. What do your chickens like to eat? waterer rounds out the healthy chicken diet with clean water. I have 30-50 chickens and they graze on my 2 acres, eating and scratching. Plants they like: alfalfa and clover and various tender shoots. They eat berries, raspberries, blackberries, strawberries. They eat all fruits. They eat hard winter squash and soft summer squash. They eat melons and tomatoes. They love the seeds from the broom corn. They eat grapes and the leaves off the grape vines too. When they are too greedy, they go to jail. I’m looking online for information on intensive grazing of turkeys and or chickens, because I don’t have enough acreage for even sheep, but want an animal or two to help with the soil development. I also wanted to mention iI’ve heard of a method to get animals to consume and utilize new foods. I am hoping to get my chickens to eat bind weed and goat head vines, and tumbleweed sprouts. 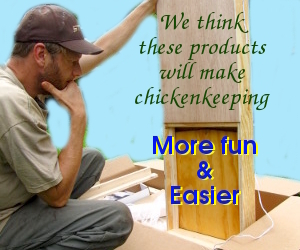 It is a process that will take 2 to 3 years, and includes hatching out chicks from your flock. Our chickens favorite cover crop has definitely been the various clovers – berseem clover, dutch white, New Zealand, etc. They were not fond of the oats or the winter peas. I noticed that they did not touch the various Asian Greens or chard I was growing in the garden but helped themselves to White Russian and Red Russian kale and their favorite was the Perpetual Spinach Chard which is a very hardy chard that looks and tastes more like a spinach. MC — Thanks for chiming in! Clovers, in general, are always appreciated by chickens. Very interesting to hear which greens your birds preferred! I’ll have to try ours on some of our Red Russian, and will have to find a seed source for Perpetual Spinach Chard.